Baby artichokes are usually available in the springtime. So, I was surprised to see them in the supermarket this time of year. Baby artichokes are tender and delicious when braised. The word affucati (affogati in Italian) in the Sicilian language means smothered or braised. 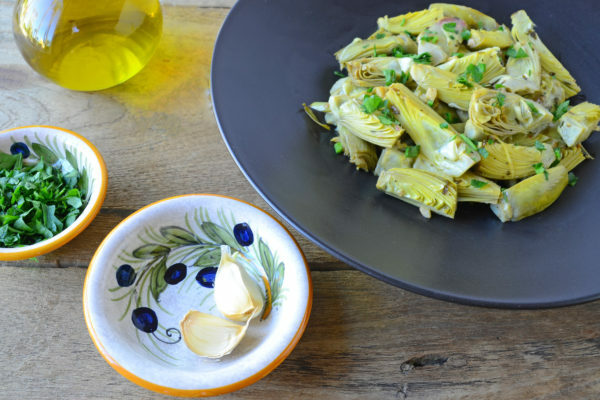 This is a simple braised artichoke recipe that my grandmother made. 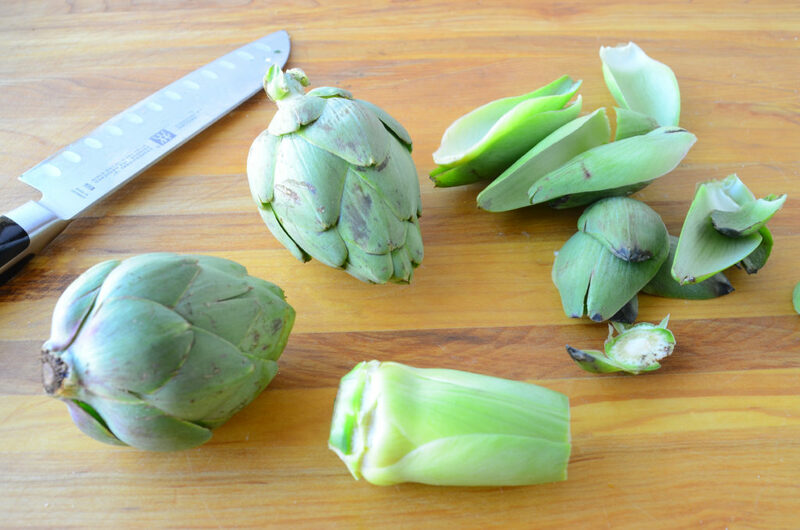 PREP THE ARTICHOKES: Place 4 cups of water in a medium bowl. Stir in the juice of 1/2 lemon. 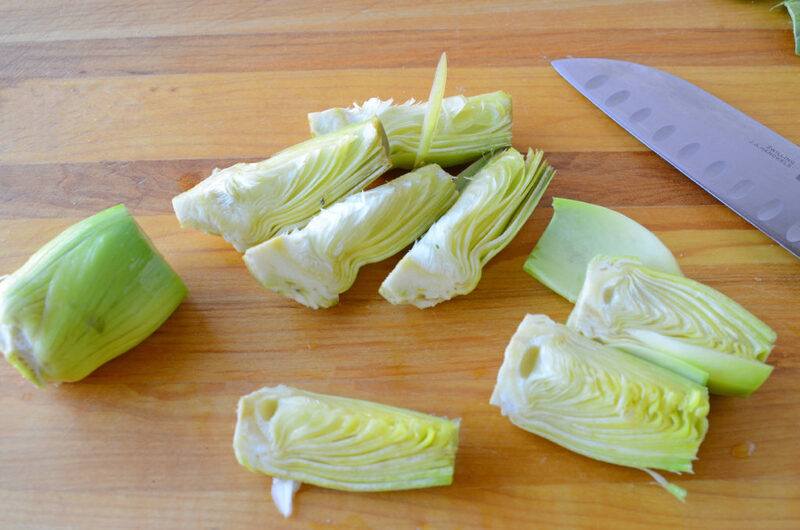 Remove the tough dark outer leaves of the artichokes, leaving the tender light green inner leaves. Trim the stem ends within 1/4-inch of the bottom and cut 1/2-inch off the tops. 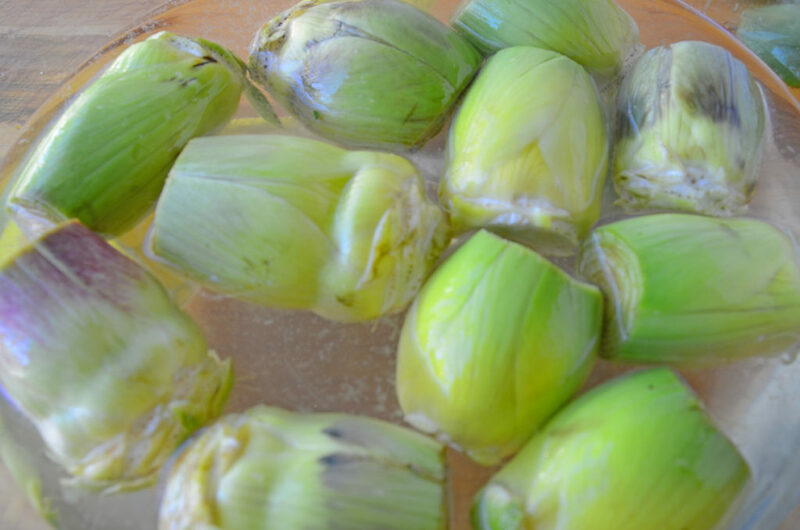 As you trim each artichoke, submerge in the bowl of lemon water to prevent discoloration. Remove the artichokes from the water and cut each one in quarters. 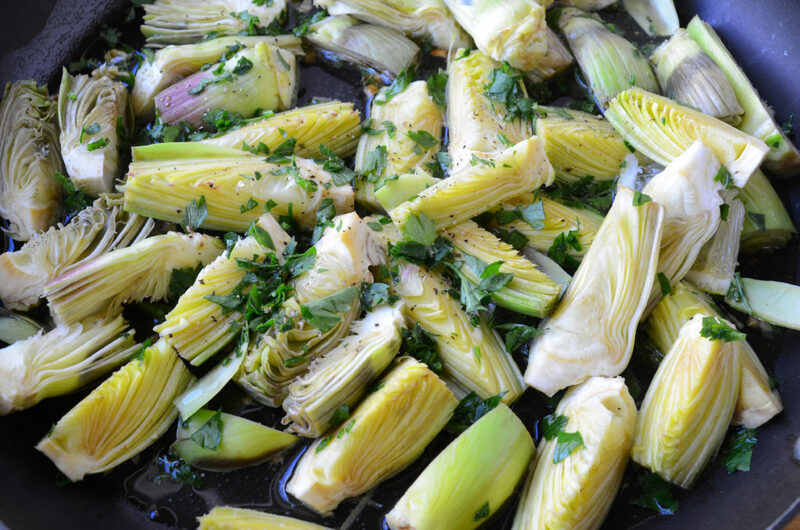 COOK THE ARTICHOKES: Heat 2 tablespoons olive oil in a frying pan over medium-high heat. 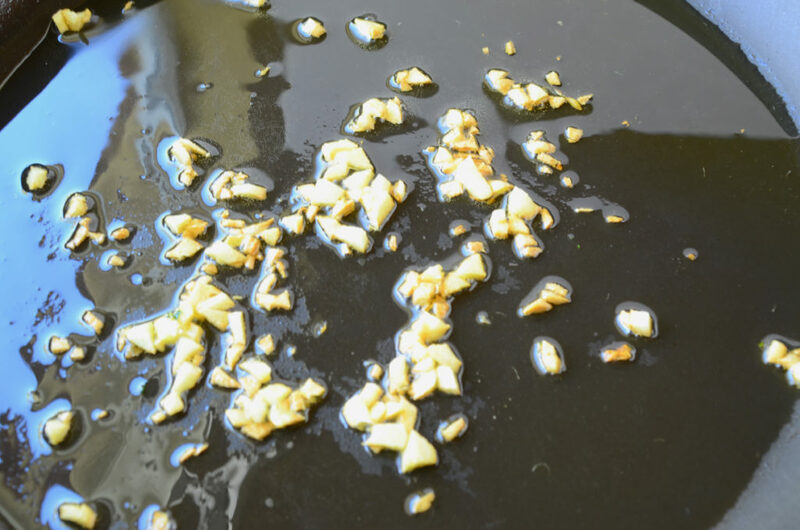 Add garlic and cook for 1 minute, until lightly browned. Add artichokes and half of the parsley and cook for 2 minutes. Add stock, lemon juice, and season with salt and pepper. Cover with lid and simmer until artichokes are fork-tender and most of the liquid is evaporated, about 10 to 15 minutes. Stir in parsley and place in serving bowl. Drizzle with remaining olive oil.